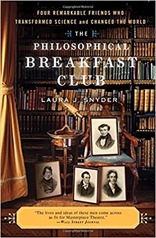 The Philosophical Breakfast Club by Laura J. Snyder is an ensemble biography of William Whewell (pronounced: who-ell), Charles Babbage, Richard Jones and John Herschel who were all born towards the end of the 18th century and died in the later half of the 19th century. Their joint project was the professionalisation of science. The pattern for their reform was Francis Bacon’s New Atlantis published in 1626 which fictionalised a government-funded science institution whose work was for the public good, and whose philosophical basis was the systematic collection of facts, including experimentation, from which scientific theories would be gleaned by induction. As such they follow in the footsteps of the founding fathers of the Royal Society who also took Bacon as their guiding light. By the earl years of the 19th century the Royal Society had drifted in its purpose since its founding, it was more a gentlemen’s dining club than a scientific society with your position in society a more important factor than your scientific achievements in gaining entry. Prior to reading this book I recognised the names of Whewell, famous for coining the term “scientist”, Herschel and Babbage – the former the son of William Herschel, the astronomer, the latter the inventor of the Difference Engine. I also knew that Herschel and Babbage had been involved in attempts to reform the Royal Society. 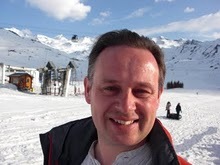 Richard Jones was unknown to me. His contributions were in the foundations, or at least building, of the field of economics. In particular he proposed an economics based on induction, that is to say one should go out and collect facts about the economy and from that point infer rules about the operation of economies from the data. The alternative is to hypothesis some simple rules, and elaborate the consequences of those rules – this is known as deduction. In economics Ricardo and Malthus had been early proponents of this deductive method. Jones went on to become one of the commissioners under the Tithe Commutation Act 1836 which converted the payments in kind of the old tithe system into what was effectively a local tax. Babbage, Jones and Herschel all came from moderately wealthy backgrounds for whom the path to Cambridge University was relatively smooth. Whewell, on the other hand, was the son of a carpenter which although a respectable trade would not fund attendance at the university. Whewell was educated at a grammar school in Lancaster, his home town, as a result of being spotted by the local gentry who also smoothed his path into Cambridge. This appears to be the route by which the lower middle class entered university – chance encounters. The four men met at Cambridge University where they formed the Philosophical Breakfast Club. It was at a time when gathering together and discussing politics was seen as borderline seditious. It was not long after the French revolution and the Great Reform Act was yet to come. They corresponded throughout the rest of their lives but there is no feeling from the book that their collaboration to change the face of science was at all formal (or even subject to an overall plan). At Cambridge Babbage and Whewell were responsible for driving the use of Leibniz’s notation for calculus, in place of Newton’s notation to which the university had adhered for some time. Leibniz’s notation is the one in use today, generally it is seen as clearer than the Newtonian version and more amenable to extension. Babbage post-Cambridge started work on mechanical computing, managing to extract large quantities of money from the government for this work, exceptional at the time, although he did not deliver a working device. The first Difference Engine was designed to calculate mathematical tables. The later Analytical Engine was very much like modern computers in its architecture. Neither of these devices were ever fully constructed. Babbage could best be described as a mathematician which put him into some conflict with others in the Breakfast Club since mathematics is rather more deductive than inductive in its basis. Later in his life he seems to have become involved in codebreaking, quite possibly for the government, although the evidence for this is circumstantial. Babbage also led a ferocious attack on the Royal Society in his book Reflections on the decline of science in England. The British Association for the Advancement of Science (BAAS) followed on from this although Babbage, Herschel and Whewell did not attend its first meeting. The BAAS annual meetings became rather large, and there was muttering at the time about the attendees penchant for fine dining. Unlike the Royal Society, it was open to all, even women! I was interested to read about the foundation of my own professional society, the Royal Statistical Society. It started as a section of the British Association for the Advancement of Science where it proved contentious because it was concerned in the collection and analysis of social data which surely leads to politics. Babbage and Jones set up the London Statistical Society which was to become the Royal Statistical Society. After Cambridge Herschel spent some time in South Africa measuring the location of stars in the southern skies, following on the family business. He became president of the Royal Astronomical Society and published several books on astronomy as well as star catalogues. As well as this he was involved in the development of photography, he was an enthusiastic chemical experimenter and appears to have guided Henry Fox Talbot in fixing his early photographic images. Whewell remained at Cambridge University for the rest of his life, where he later became the Master of Trinity College. As well as his efforts in changing the teaching of calculus he introduced the Natural Sciences Tripos (parts of which I have taught). His publications were mainly in the history and philosophy of science. He was involved in some scientific endeavours – the measurement and analysis of the tides, for example. Although he coined the term “scientist” in 1833 it wasn’t to gain much currency until much later in the century. Snyder identifies the period 1820-70 as one where there was a great transition in science from being a gentleman’s hobby to a (sort of) mass participation activity with at least some regard for practical application, a defined career path at least for a few and some more regular government funding. I found The Philosophical Breakfast Club very readable. It covers a period of great transition in science in the UK, and makes a nice companion to Henrietta Heald’s biography of William Armstrong.